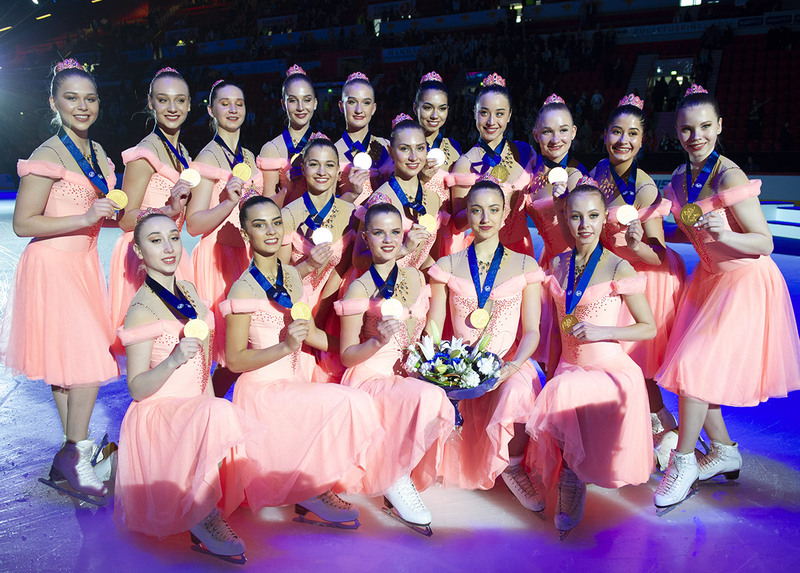 Jura Synchro's goal has always been to put the sport forward and to promote synchronized skating. We now want to move up a gear by putting people in direct contact. The first step of this new goal is the addition of the "Market" section on the website. 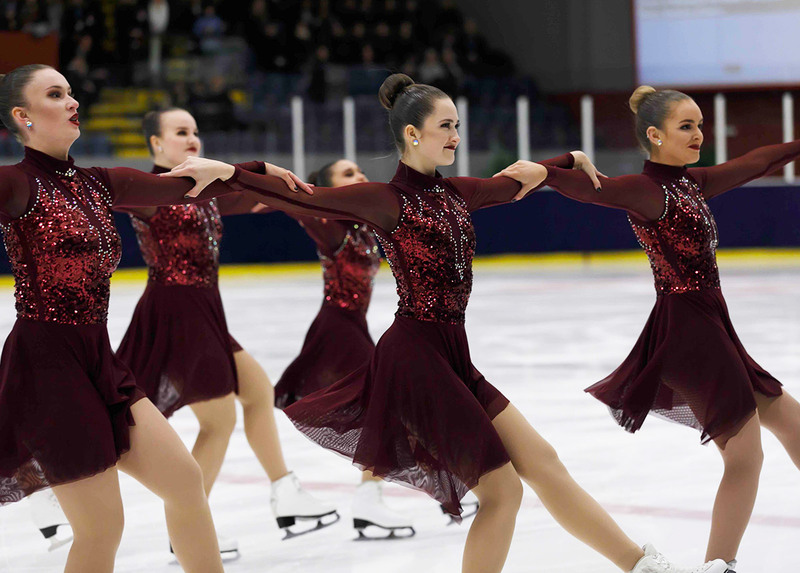 It's very simple, it can help you to sell or rent your team costumes/dresses, to look for a synchro coach, to sell your skates, to announce your tryouts, to look for volunteers during an event, etc. Through this new service, we want to help teams and synchro fans by giving them the opportunity to rent or sell synchro accessories rather than letting them stored deep in the basement of a club. However, in order to ensure the quality of the service and to continue developing Jura Synchro, we made the choice to request a small contribution in exchange for this service. To celebrate the launch of this new service, we offer to 5 teams/clubs/people the opportunity to post a free ad for 15 days (the only condition is to use it before the end of 2018). 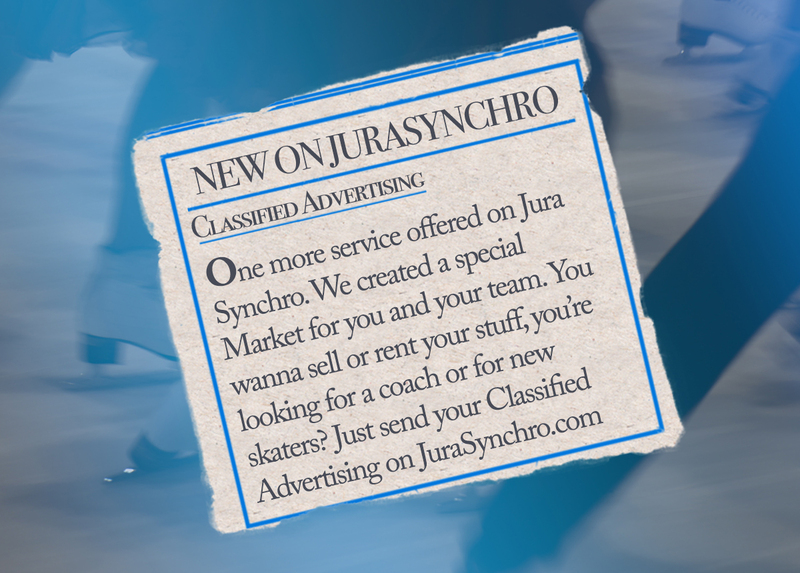 To win this gift, simply send an email to market@jurasynchro.com with your full name. Participants have until Wednesday evening to participate. The winners will be drawn and contacted personally. Do not wait anymore and good luck to everyone!